Should I use ImmutableJS with Redux? Redux is a state management library that often gets paired with React. What’s less talked about is how ImmutableJS can benefit Redux — and even React. I’ll focus on the pros and cons of using Immutable first and then I’ll go into how to integrate it into a Redux/React project in another article. Enforces immutability in language versus achieving it by convention. Redux requires the reducers to never mutate the previous state object, but this is only by convention. There is nothing in the language or library preventing a developer from accidentally doing this. You can implement various processes and tools to help mitigate unintentional mutation like unit tests, thorough peer review, and even static analysis, yet wouldn’t it be nice to ensure that never happens in the code itself? With ImmutableJS it’s impossible to mess up. It forces the operation to always return new collections — collection is the base structure that maps, lists, records, etc. inherit from — that are completely isolated from the original. Provides convenient ways to modify deeply nested properties. Updating the state tree at the top-level is pretty easy with Object.assign(), but nested updates are more complicated and error-prone. Usually, it’s just easier to create a potentially expensive deep copy of the state, mutate the copy, and return it at the end of the reducer function. That doesn’t sit well with me. Immutable provides .setIn() and getIn() methods that provide easy ways to walk down the tree to the exact node you’re trying to fetch or update. What’s great is ImmutableJS always returns a relatively cheap copy of the entire collection so you can chain the updates in a pretty clean way — once you get past the string usage, which I present as a downside below. Can be slowly introduced into an existing codebase*. I’m putting an asterisk next to this because with Redux this is trivial, but with React not necessarily so — for reasons I’ll get to down below. 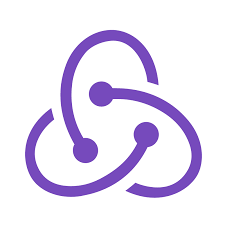 With Redux all you need to do is initialize the state to an Immutable record or map, preferably record. Increases the intellectual load required for developers to implement a feature. This is real. As frontend developers we already have to juggle dozens (hundreds?!) of libraries and tools. Do we need to add another one to bring on complete analysis paralysis? I used to latch onto the latest and greatest <insert new library>.js, but after a while it starts to become untenable to maintain. That’s why the cost of the new shiny thing has to outweigh the cost of managing lots of shiny things. A little more cumbersome to debug code. The main contributor here is Immutable structures are wrapped in other stuff than just what they’re storing. So when you’re debugging and hit a breakpoint the values aren’t immediately readable. You have to call .toJS() in the console to see them. Now, there are plugins and tools to overcome this, but they add more intellectual load and you don’t always have access to them. May not have significant performance improvement and can actually slow down the application in some cases. Remember when I was saying copying is a bad thing? Well, it doesn’t really have a perceivable impact if the size of the data structure is small. This may be most of the cases you’re working with. So is the overhead of Immutable worth it? Probably not. Additionally, there will be cases when you’re forced into using .toJS() — this should not be the norm however — to make it compatible with another library or something. Using .toJS() is quite expensive and will be way slower than copying. At work, we have a large enterprise web app that manages a lot of state and scalability was a big concern for us. We also wanted the ability to optimize the performance of rendering components using cheap change detection. That’s why we chose ImmutableJS, but it may not be right for you and your team. Edit: Added more clarification on data copying.